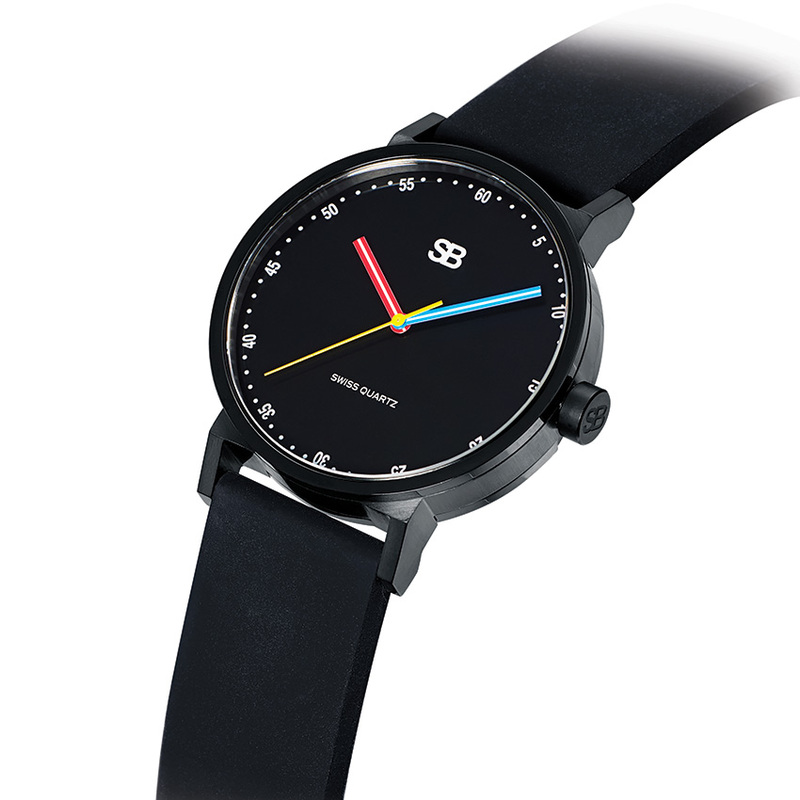 In an effort to gain notoriety for their unique design and superb quality products, SB Watches is launching their newest timepiece, “Minimal,” through an Indiegogo crowdfunding campaign. 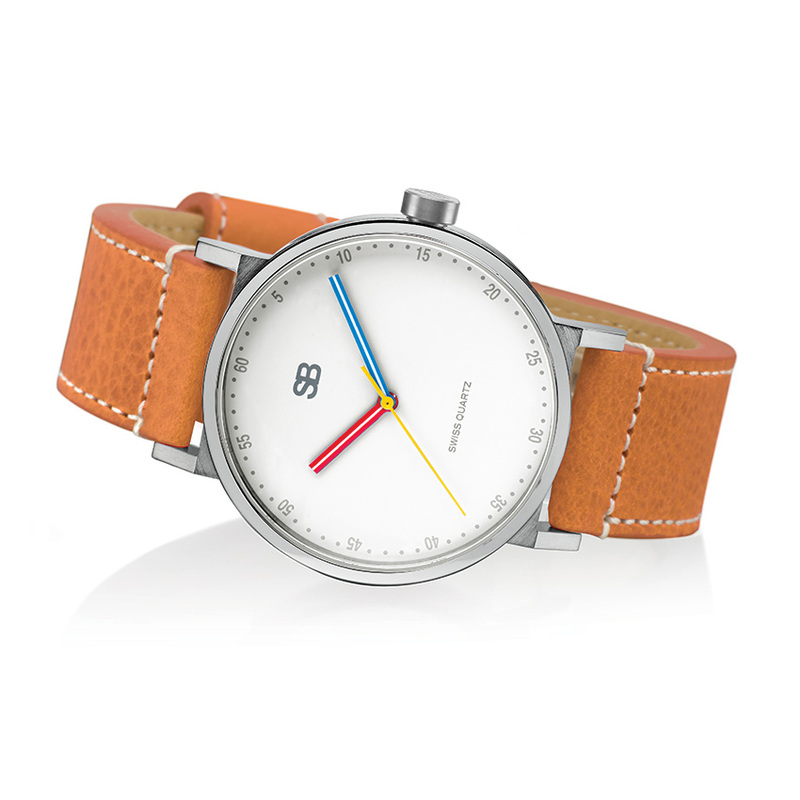 We want to show everyone out there how beautifully designed our watches are. It’s like wearing a work of art on your wrist. SB Watches would like the world to know why they are different from every other wristwatch company. 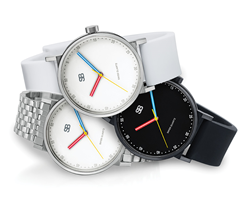 To gain exposure for their newest watch design, “Minimal,” set to debut this Fall, they launched a crowdfunding campaign on Indiegogo. The campaign launched Wednesday, May 25th and showcases the new “Minimal” style. 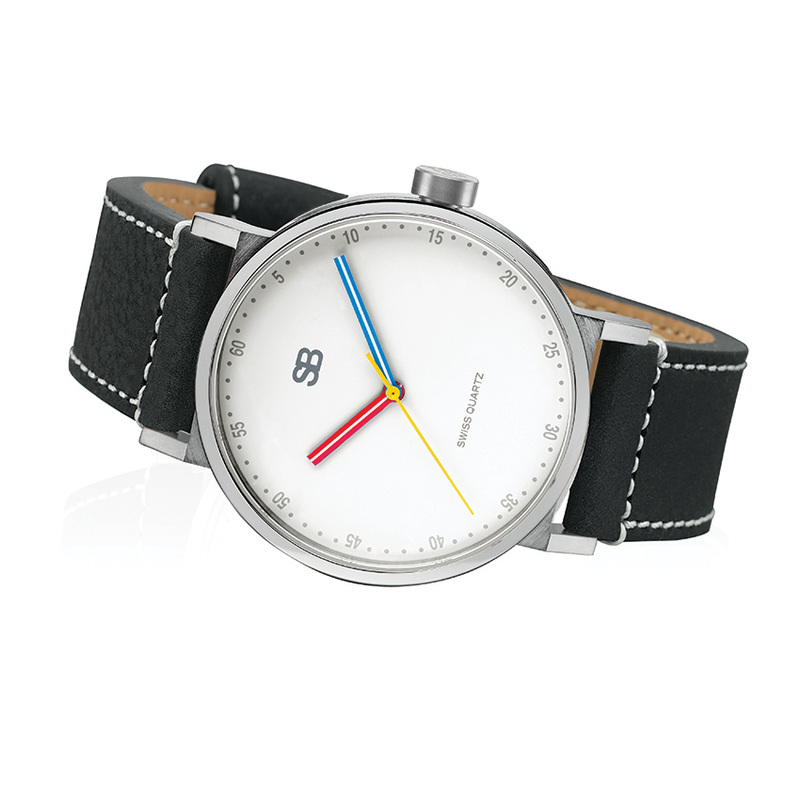 SB is an all stainless steel watch brand for men and women. 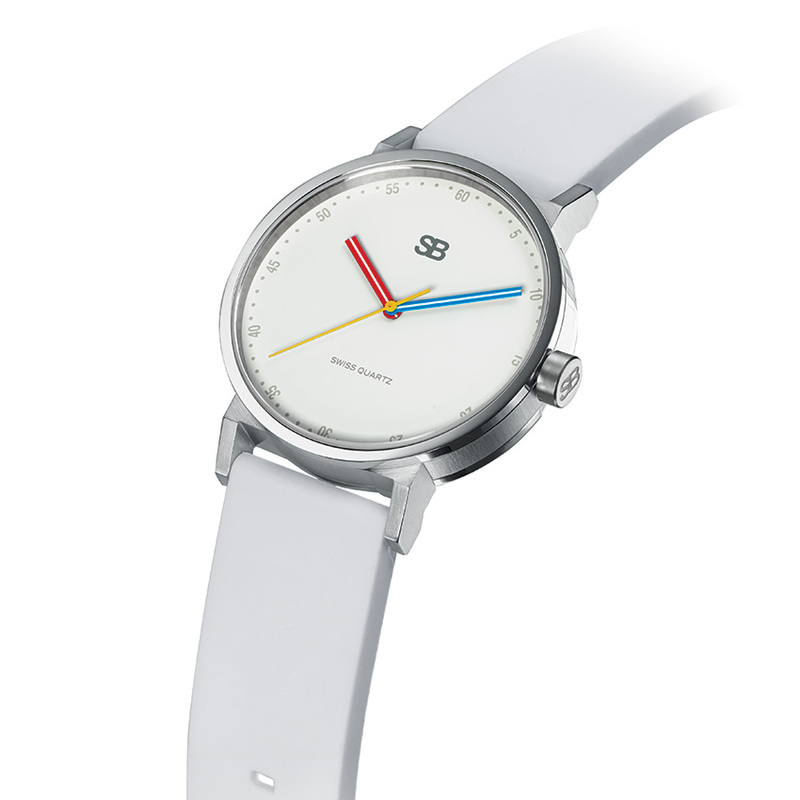 Collections include: SOB, featuring watches in mens and ladies sizes that come in several different color dials in steel or black cases; SB Select, a collection of limited edition watches with “ironic” dials; and Metropolis, a selection of carefully designed 3-hand and chronograph watches. The SB Select and Metropolis collections were designed by artist, Fredi Brodmann of New York. Born in Vienna, Austria, Brodmann became a top graphic designer and is also a talented humor cartoonist. A selection of his artwork, printed on gallery canvas, is available for purchase on the SB Website. 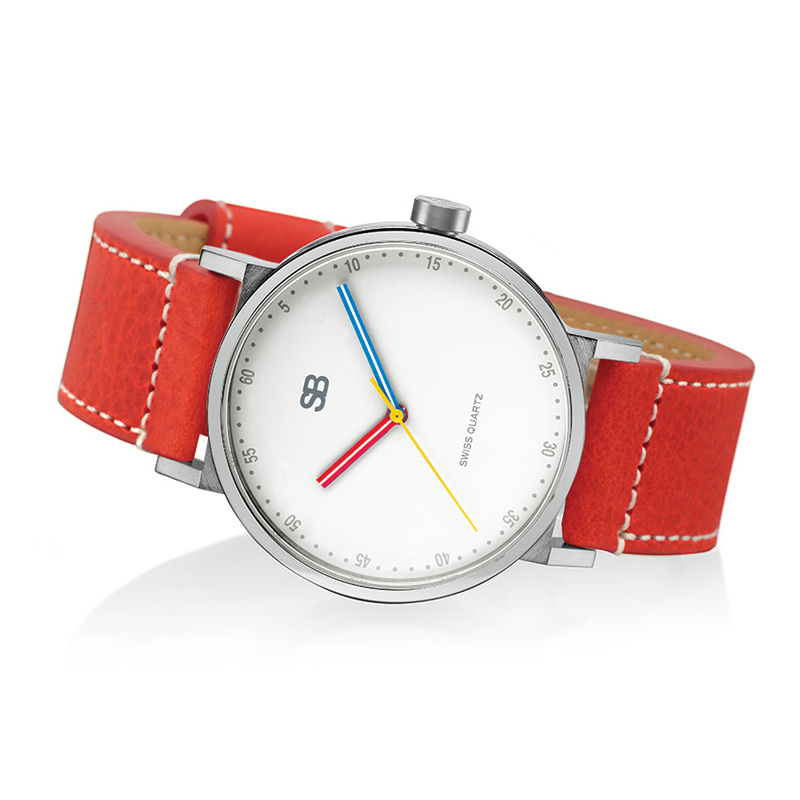 The “Minimal” watches are the newest addition to the Metropolis collection. Each watch has a 42mm case, a fine Ronda Swiss quartz movement, scratch-resistant sapphire crystal, is water-resistant to 165 feet or 50 meters and comes with a 2-year warranty. All watches are serviced in the United States at SB’s headquarters in Las Vegas, Nevada. 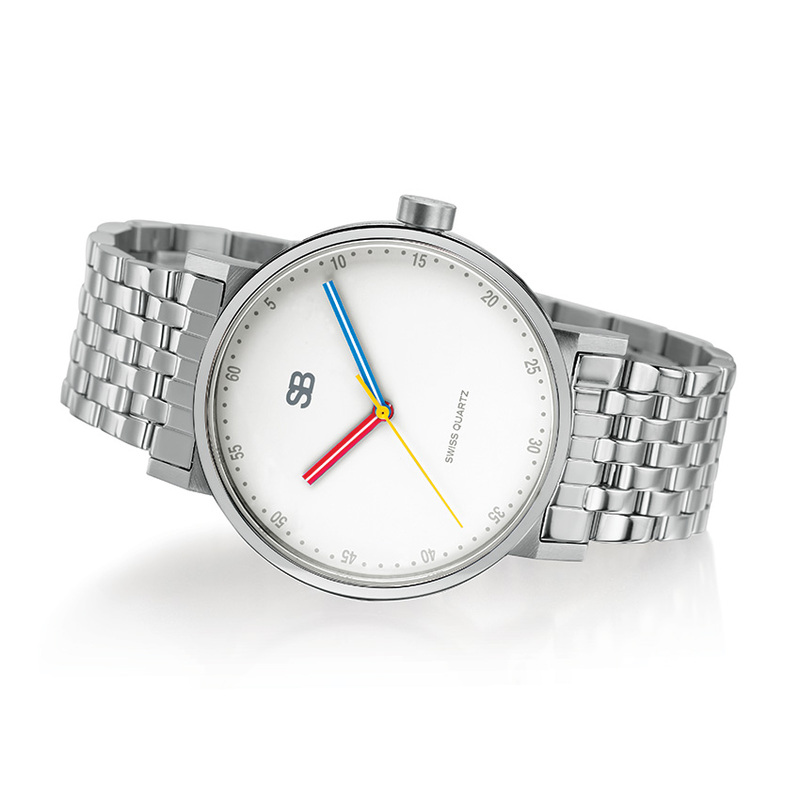 The dials are clean and uncluttered with primary color – red, blue and yellow hands. During the campaign you get a choice of a “Minimal” watch with a white dial and stainless steel case or black dial with black case and an array of strap choices, including white rubber, black rubber, fine Italian leather and a stainless steel bracelet. The “Minimal” watch campaign pricing starts at $145 for a watch with a rubber strap, $195 for a leather strap and $245 for a watch with a stainless steel bracelet. When the watches come to market, they will start at $395 for a rubber strap, $445 for a leather strap or $595 for a stainless steel bracelet. In addition to these perks offered on Indiegogo, you can also become a backer by donating $10 to the campaign. In return you will receive a 10% off coupon for the SBwatches.com website, good for any product until 12/31/16. The Indiegogo campaign will continue until June 25, 2016 with a $20,000 goal. The watches purchased during the campaign will be shipped to backers by the end of September, 2016. SB Watches is one of 5 brands distributed by parent company, Universal Watch Co., Inc. (UWC) in Las Vegas, Nevada. Additionally, UWC is the distributor of TeNo Stainless Steel jewelry, The TitanFactory titanium jewelry, Boccia Titanium watches and jewelry and is the manufacturer of 40Nine watches as well as SB Watches. UWC has been in business since 1994. Owner, Raphael Cohen, has worked in the jewelry and watch industry for over 35 years.